We cat lovers hate to see our cats sad and bored, as we spend good and calm times at home our cats should be feeling good too. So they might need some cat toys that are original. 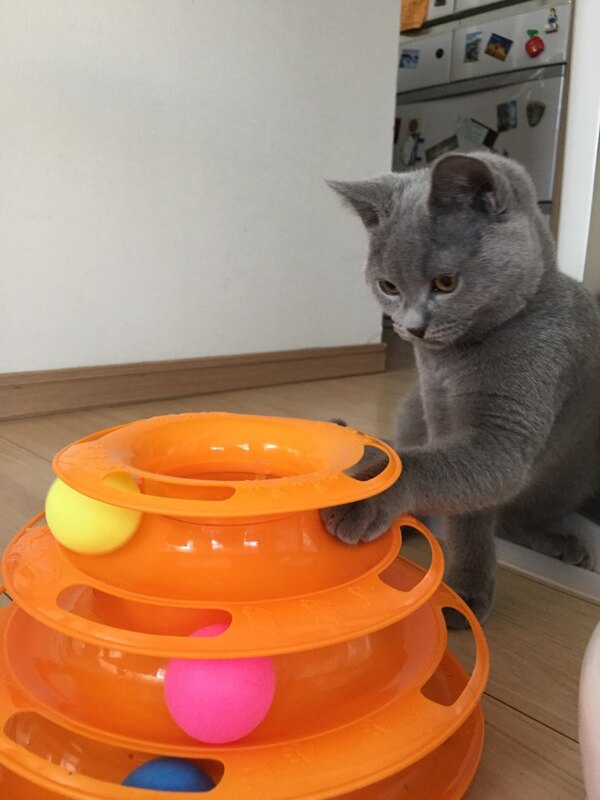 Triple Play Disc For Cats offers your cat our cats unforgettable fun plays with it’s spinning different colored balls and original design. Triple Play Disc For Cats will easily be a new toy that your cat wants to play and grapple. Additionally you don’t need to pay any unnecessary shipping cost at thekittenpark.com. We have free shipping to your location. Free shipping takes 12 days to USA and 14 days to Canada/Europe. You can ask your any questions to thekittenpark support team at 7/24. He is a four-month Chartreux kitty. He is excited about the toy I see for the first time. It can be light as it is a simple making toy.